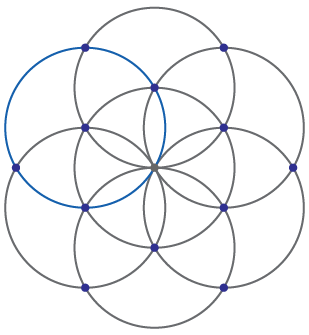 The pattern starts with one circle, and six others grow out from it. 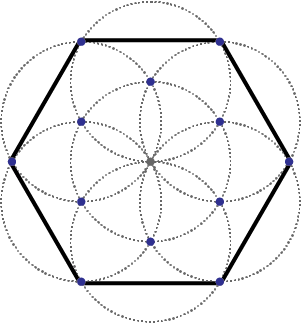 This arrangement is the base for many ruler and compass designs. 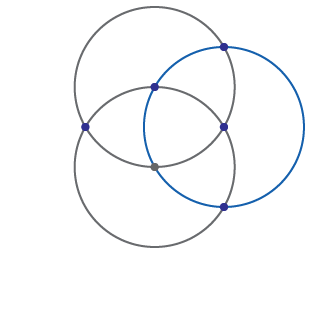 Connecting the intersection points around the perimeter forms a hexagon. It can be interpreted in many different ways. 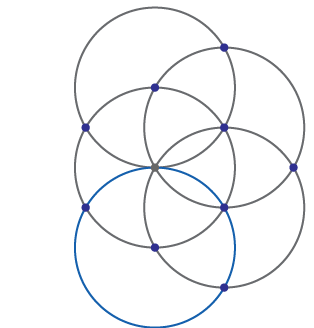 Start with a single circle. 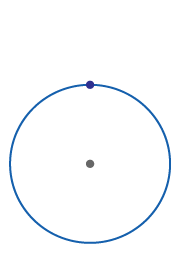 A second circle of the same side is centered on the perimeter of the first circle. 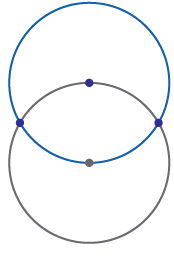 A third circle is added centered on the intersection point of the first and second. 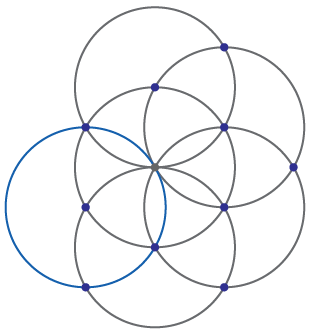 A fourth continues the pattern. 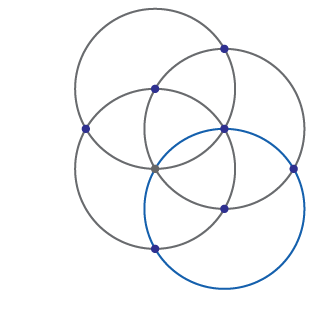 Connecting the outer intersection points draws a Hexagon.